In my sad trip to Specs today I did pick-up a beer that I last had when I was in London in 2013. 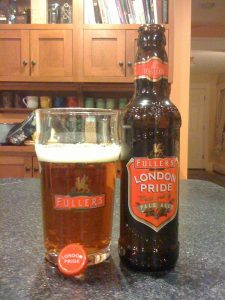 It is Fuller’s London Pride. It is not a bad drop for sure, but when compared with their beautiful ESB it doesn’t come close. But all Specs had was the London Pride. Maybe this would make London proud but for someone who holds ESB as the gold standard, Pride is a large step down.